Pennsylvania's own "27 Lights" has become the region's premier original modern-rock band. This group is truly the area's rising star. Having won countless "Battle of the Bands" contests in Pennsylvania, Maryland and Washington, DC, as well as securing their place in the area's original music venues, "27 Lights" is on their way to capturing audiences in an ever growing region. “The DUB7 E.P.” is the latest three-song release from the band 27 Lights. This is the prelude to the full-length album coming out later this year. The DUB7 E.P. is a brilliant departure from their first release. These young men have embarked on a new musical quest to incorporate classic sounds of reggae and psychedelic music into their own modern musical expression. The new sounds from 27 Lights are both fun and interesting, yet danceable and contagious. This band is destined to be one of the great modern jam bands of our era. If you enjoy musical elements of Bob Marley, Pink Floyd and modern-rock band Incubus, you should very well enjoy this latest release from 27 Lights. RadioIndy is pleased to present 27 LIGHTS with a GrIndie Award for the CD "The Dub7 E.P." “The Dub7 E.P.” is a three-track prequel to an upcoming full-length release from reggae rock outfit 27 Lights. All three tracks feature the calculated upstrokes of the traditional reggae sound, though there are clear alternative and psychedelic elements within these songs. One aspect of their sound that makes 27 Lights stand out is their ability to disperse jam sessions throughout the EP that are fresh, listenable, and danceable. The reggae inspired vocal performance, combined with the arrangements, sound similar to Bob Marley, Incubus, and RX Bandits. The production quality of “The Dub7 E.P.” is perfect for this type of recording. It's not too overproduced and focuses on the natural rawness of their sound. “Flat a Dub” begins with a seventy-five second reggae-inspired jam then introduces 27 Lights’ vocalist with the repetitive line, “Where did you go.” “India” has some great rhyming verses and a sound you can’t help but dance to. “Pakalolo” has a psychedelic bass opening, some more great rhymes, and nice solo guitar work. 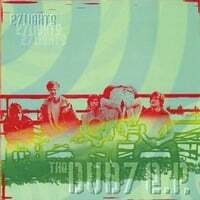 “The Dub7 E.P.” certainly wets the appetite for things to come from 27 Lights with its three original and memorable tracks. Fans of reggae rock, give this EP a listen.